Maxiplay Casino Review - 200% Bonus on 1st Deposit! The number of sites offering pay by phone bill is rapidly on the increase, which we at Phone Bill Casino are delighted about. It means there’s more incredible sites for us to bring to you, so let us introduce you to Maxiplay Casino. This site is operated by the gaming legends ProgressPlay and offers a responsive, sleek and eye-catching theme. 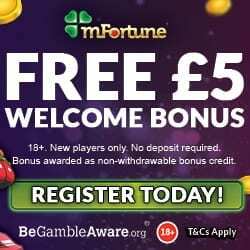 Probably the most important part of the site is the games, which on Maxiplay Casino are progressive jackpots, casino games, scratch cards, live casino and featured slots such as Jimi Hendrix and Guns n’ Roses. If you prefer to play on the go, then you’ll be pleased to hear that many of the games are available on mobile and tablet devices. 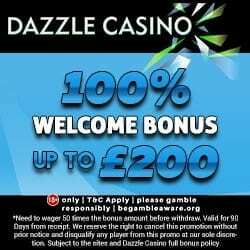 From the moment you make your 1st deposit the bonuses will begin, with a 200% cash match bonus up to £200. This means that for adding a mere £10 you’ll receive £20 extra, or a grand total of £30. As a regular player you can enjoy the Maxiplay Casino regular promotions, where you’ll earn cash back, bonus spins and the chance to double your money. These promotions include Monday Madness, Weekly Surprise, Game of the Day, Cash Back Day, Weekend Race and Spin the Slots. There’s pretty much something for each day of the week, so make sure you reward yourself. Maxiplay Casino like to keep you updated on any changes to the site, including game launches and promotions; as such they have a Facebook page. 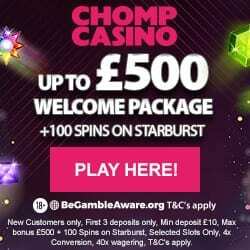 It also gives you the chance to meet other online casino players and chat about your love of gaming. For those times when you need support from a site representative, you can contact them via live chat or email. They are available between 6am and 11pm, and aim to respond within two hours; depending on the complexity of the query. They accept the usual Credit and Debit Cards, Paysafe Card, Skrill and pay by phone bill. You’re probably already aware of the ability to pay for your credit, using your mobile phone bill. But if you’ve never come across this before, then check out our article on Boku mobile casino depositing. To claim that 200% cash match bonus, all you have to do is head over to Maxiplay Casino and make your 1st deposit.